“Strange. Very strange,” But the mysterious man seemed to still be in shock and found what he had just witnessed to be unbelievable. The old voice continued its words. The aura he had seen just now made it hard to believe that Su Yi was a person of no background. Su Yi looked at the surroundings with no intentions to reply. Since the person hoped that he could stay and talk to him and entertain him for tens of years and he could not beat him, why not just stop speaking? At least, it would not go according to the person’s wishes. Though he had not been injured seriously, he had just used “Overlord’s Fist” and had expended much of his strength to the point where there was almost nothing left. Looking about the area, Su Yi found a flat open area. He sat down and began meditating. Anyways, he could not do anything about the mysterious person and he was also unable to leave, why not just recover his strength first before thinking of a way to leave the place. Regarding accompanying this person for several tens of years, naturally, Su Yi was unwilling. “You kid sure do have a temper. I like it. Just be like this and accompany me for tens of years and it wouldn’t be too boring for me,” The voice continued to sound through the place. As Su Yi recovered, the voice continued talking as if it has not done so for who knows how long and wanted to say everything he could in one go. Within the canyon, the beasts were pacing back and forth. They did not dare to enter the valley, but they did not leave and continued watching closely. Su Yi continued meditating and did not pay any attention to the old voice as if he was in another world, but his mind continued to think. He did not imagine that after surviving a disaster, he met such a calamity. Su Yi was pondering if he really had to stay in this valley for tens of years. He would better just commit suicide and that would be the end of it. But then living vainly is still better than dying. Su Yi thought that as long as he lived, he would have the chance to leave the place. It was already night-time. Above the valley, the gentle rays of the moon descended upon the ground from above. Within the valley, a light was moving around Su Yi. The Yuan Qi within his body gave out roaring sounds of thunder and wind. “This kid is weird. Being only a Yuan Soul Realm Second Grade but having such an aura. This doesn’t seem like someone which “they” had sent,” Within the valley, the mysterious person mumbled under his breath. No living creature could hear what he was saying. Su Yi stopped meditating and woke up, exhaling a stale breath from his lungs. His eyes opened as a glaring light shone from them and then returned to his deep, and calm black eyes. Spirit of resilience burned brightly inside. Looking around him, those few beasts were still lurking around the mouth of the canyon. Su Yi saw this and knew that the beasts had no intentions of harming him. Su Yi stood up and stretched. So far, since he would not be able to leave the valley then he would just take the time to increase his strength and raise his cultivation. He felt that this was all he could do so far. “You sure can recover fast, kid. Which sect or school are you from? Perhaps I may know someone there and release you,” The old voice came once again and went into Su Yi’s ears. Su Yi ignored him and did not trust the words of that person. It was obvious that he was trying to trick some information out of him. Su Yi muttered to himself. He had already gain insights about the “Wrath of the Eight Wastelands” for quite some time and it was already at the point where he could start cultivating it. Anyways, he could not leave this valley so why not just cultivate the “Wrath of the Eight Wastelands” to increase his strength. Currently, other than “Overlord’s Fist”, he had no other moves. Su Yi knew that he needed to learn some ways to defend himself. Since he had no master to guide or teach him, he could only discover and learn as he went on. The martial techniques in this world were classified into high and low levels as well, but this “Wrath of the Eight Wastelands” had come from the “Supreme Chaotic Yuan Technique”. What level was this martial technique, Su Yi himself was also not clear. But from the complexity of it, Su Yi felt that level of the “Wrath of the Eight Wastelands” was even higher than “Overlord’s Fist”. From what Su Yi understood, in this world’s martial techniques there were very few martial techniques that were purely leg techniques. “Wrath of the Eight Wastelands” was one of those martial techniques which were purely leg techniques. From the information he had gotten while cultivating, Su Yi knew that the power of “Wrath of the Eight Wastelands” was extraordinary. There were in total three levels and once it was cultivated to the limits, one strike with the foot was enough to shatter a mountain. “Begin to cultivate,” Su Yi mumbled, his eyes closed and the information of the “Wrath of the Eight Wastelands” gradually passed through his mind and he began to research the way to cultivate the technique. Strictly speaking, this was still the first time that Su Yi decided to officially cultivate a martial technique. Back then when the “Overlord’s Fist” appeared, it was just engraved in Su Yi’s mind, but this “Wrath of the Eight Wastelands” was different. It needed Su Yi to cultivate it himself. After researching the cultivation technique for some time, Su Yi opened his eyes. Before he could start cultivating the “Wrath of the Eight Wastelands”, he still needed to open quite a few specific meridians in his legs. 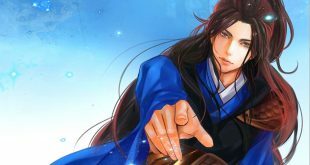 This was the first time he cultivated a martial technique, so Su Yi was slightly nervous. He calmed himself down and began to move the Yuan Qi in his body, gradually directing it towards the specific meridians. A thin strand of Yuan Qi under the careful control of Su Yi began to enter the first meridian. Though it was not something easy, the feeling of a blocked meridian began to disappear gradually. This occurrence made Su Yi himself feel that it was weird. Rumors all said that when trying to cultivate a martial technique, it was extremely hard to clear a blocked meridian. Why did he feel that it was nothing much? But Su Yi did not know that the three years he spent forging his body had changed every single meridian in his body for the better. Hence, during this process, there was not much difficulty. After several hours, Su Yi had already cleared every single blocked meridian that needed to be cleared to cultivate the “Wrath of the Eight Wastelands”, as if there was zero difficulty. The old voice gently muttered. Every movement of Su Yi was perceived by him. There was no privacy, there were no secrets. And afterward, Su Yi began to officially start cultivating the “Wrath of the Eight Wastelands”. Yuan Qi flowed within the specific meridians for the technique and started to gather to initiate the “Wrath of the Eight Wastelands”. When Su Yi started to initiate the technique and the Yuan Qi had just started to flow within the second meridian, Su Yi suddenly cried out in pain. The meridians within him were spasming. There was an incomparable pain. the Yuan Qi within his meridians also started to dissipate. If not for the toughness of Su Yi’s physical body, the occurrence was already enough to hurt himself.